Another week of our Sepia Saturday theme, “War and Peace,” and for this week, I have a photo of my grandfather, John Rachocki. John served in the Army Air Force from 21 July 1941 through 13 Dec 1945 during World War II. 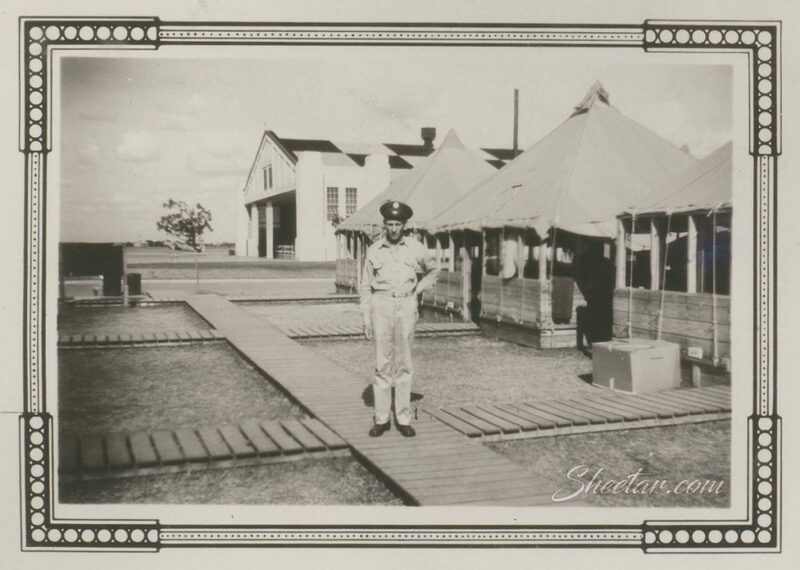 Based on another photo with the same border, I believe this was taken in Texas during training on the early end of his service. Much like last week’s photo, there are barracks with a wooden walkway between them and while it’s a different branch of service and a different war, it still looks somewhat similar though there’s no laundry line in the background, just a large hangar or warehouse of some sort. There’s no label on the back, but I’m fairly sure of my assumptions of time and place given that there’s a similar photo in the bunch. We don’t have all that many photos of grandpa John and seeing him in uniform is a real treat! A new Sepia Saturday theme awaits us for November, “War and Peace.” I have a number of photos of family members who served in the military and fortunately there are still a few I haven’t used yet! 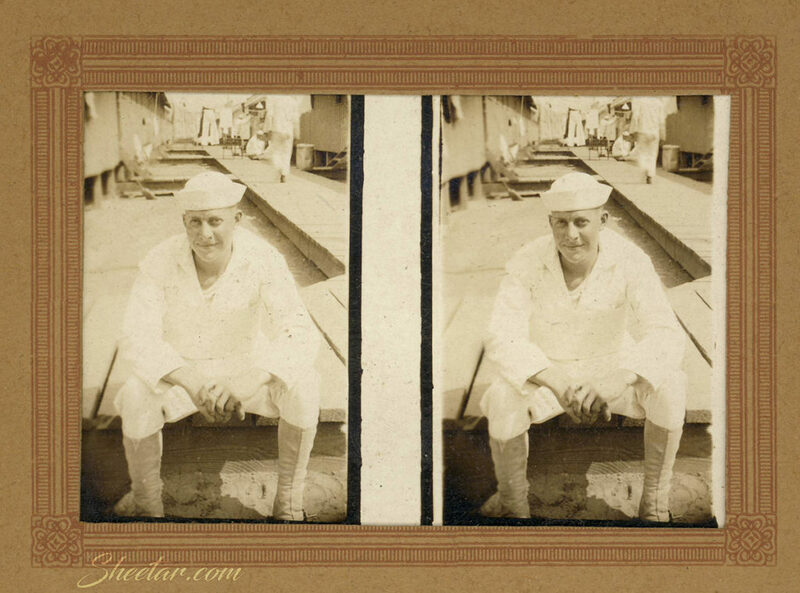 For this week, belated as is my style anymore, we have a stereogram photo of Earl William Powis Sr, born 15 October 1896 in Pennsylvania, died 26 Mar 1973 in Florida. Earl was my great grandmother’s brother, and he served in the Navy during World War I from 14 May 1917 through 21 August 1919. In a rare event, we actually have a fully labelled photo with some great detail, so I included the back this time to show you. 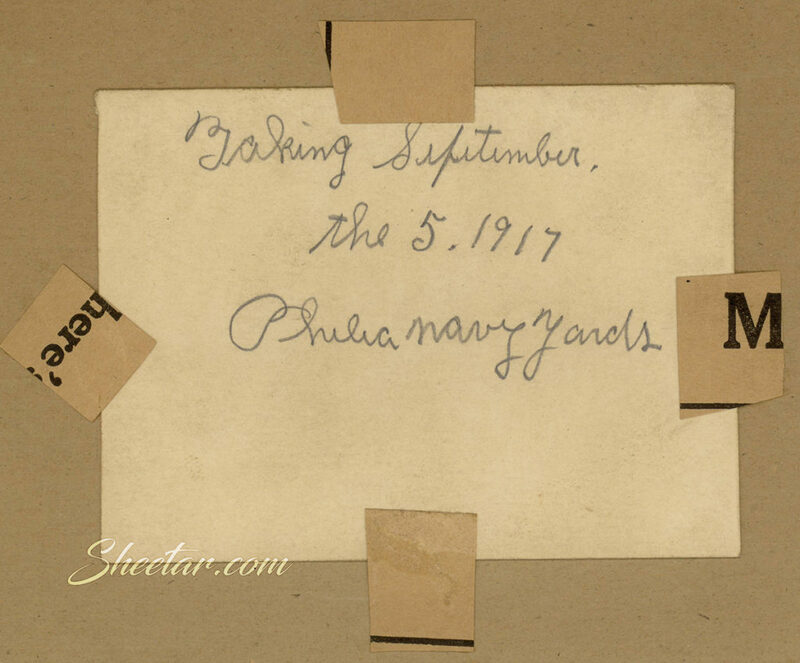 The back reads, “Baking, September the 5, 1917, Phila Navy Yards.” The internet has a good archive of weather data, so I was able to find out it was 82F that day which is indeed pretty warm (Wunderground link). Phila Navy Yards of course refers to the Philadelphia Navy Yard which is now mostly no longer in use by the Navy. They still have a small presence, but the majority of the land was taken back by the city of Philadelphia. The photo itself is pretty neat since it’s a stereogram image, the only one I have in all the family photos. You should be able to cross your eyes and see a 3D image appear between the two! I have to imagine either the Navy took this or a fellow sailor with a stereo type camera snapped the photo. The background shows lines of barracks with a wooden walkway and other sailors doing various work in the background as well as some laundry hanging on a line stretched between buildings. At this point in time, Earl had only been in the Navy for just shy of 4 months, so this may have been basic training still. Earl has a slight smile on his face, and it’s so neat to have such a nice, candid sort of photo from a rather early point in photographic time! 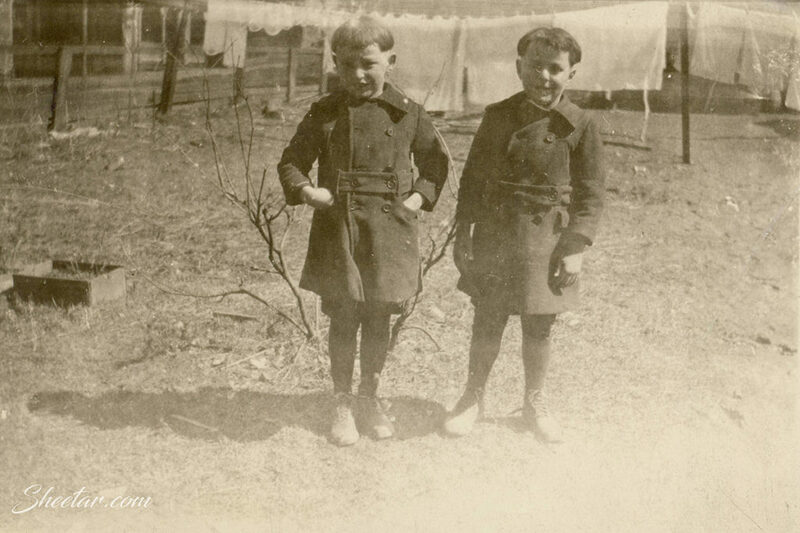 For our final week of the Sepia Saturday theme, “From Here to There,” I dug out my photos of the Miller Twins. 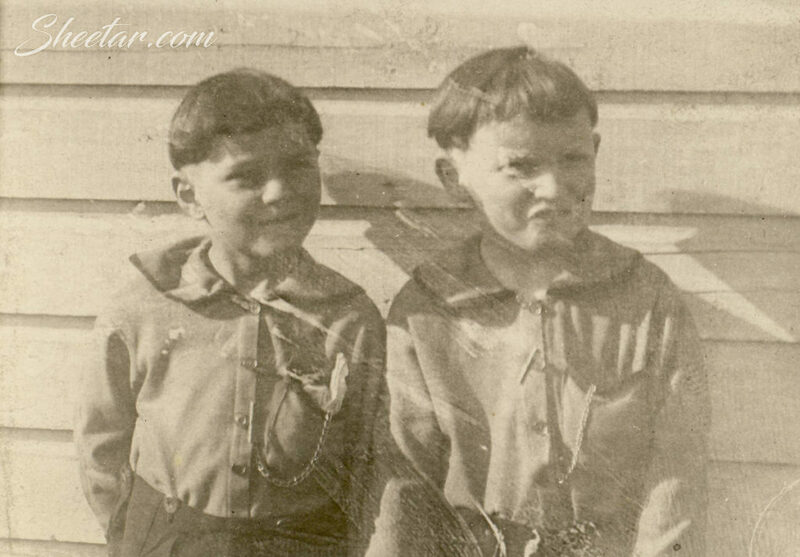 These two boys were featured in a few photos labelled only as, “Miller Twins,” on the back and I figured that twin boys would be easy enough to find without knowing their first names or much other information about them! I assumed my great grandma Olga Powis lived near them and I assumed they’d be on the 1920 or 1930 census for a place to start. The batch of photos that look like this (size/shape/quality) are dated around then, so it gave me a good guessing range. Sure enough, I found an entry for twin boys Charles and William Miller who were born in 1918 on the 1930 census (ancestry.com link), sons of Merl Miller and Euphamie Lamb. Euphamie shows up in another photo (link to blog post) with her boys which is what helped wrap the whole thing up to what I feel is a fairly positive identification. As far as a date for the photos, I assume they’re about 4 or 5 in the set of photos here, so we’re talking 1923 (+-2 years). The twins were born on March 14th 1918 in Coalport, Pennsylvania. William died 11 June 1944 while fighting in WWII and was buried in France, and Charles on 19 Feb 1998 in Pennsylvania. According to the 1920 census, they lived a matter of a few blocks from my great grandmother. 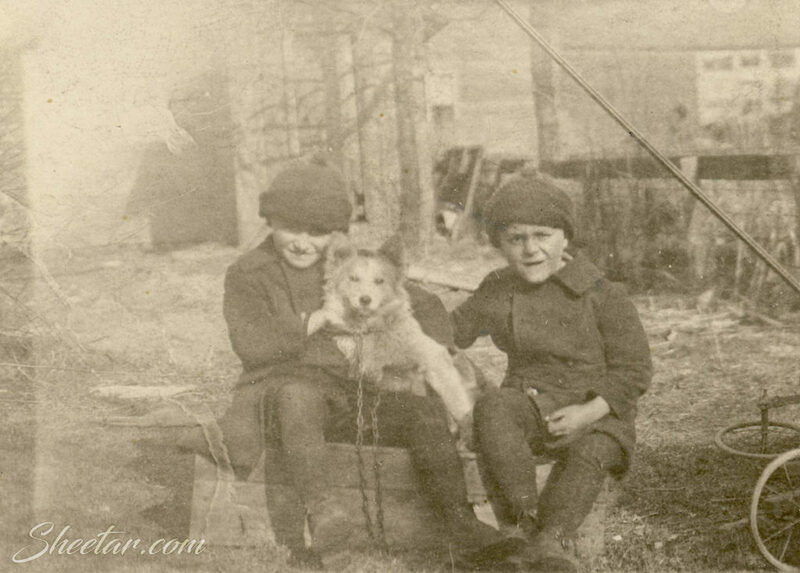 By the 1930 census, they had moved about an hour away to Blacklick in Cambria County. 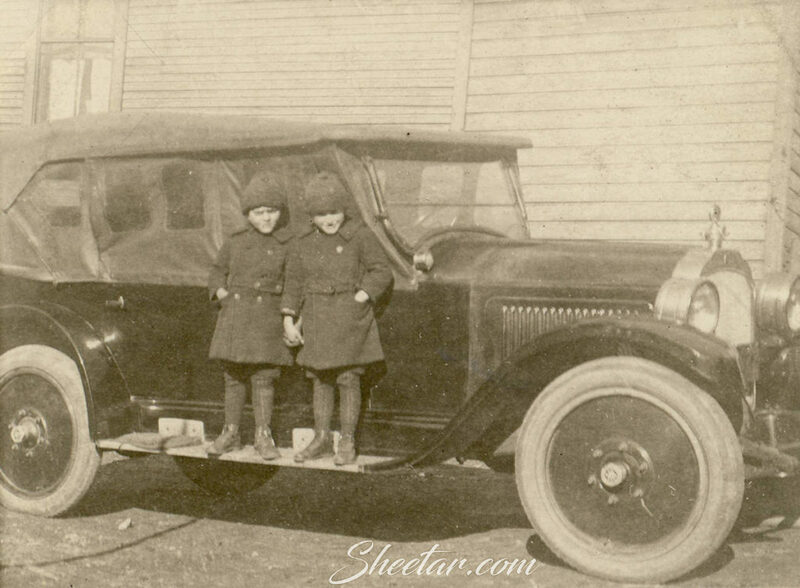 To tie it into the theme, one of the photos shows the boys perched on the running board of a car. Together though, even though they’re not related, these photos are a sweet little snapshot into the lives of these twins and the details are wonderful – the matching shirts and pocket watches, the beloved pet dog, the wash on the line behind the boys, the car! I do hope to find some descendant or someone in the family line who might be interested in these, and I’m glad to have the chance to share them here. Looking forward to November’s new theme! A little humor this week for the continuation of the, “From Here to There,” theme for Sepia Saturday. 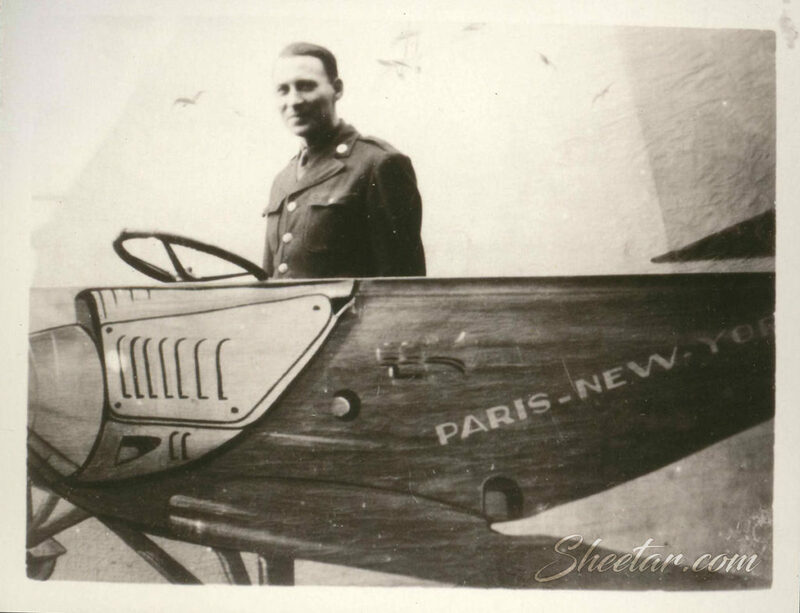 Pictured here is John Rachocki, my grandfather, standing behind a fake painted airplane. The back of the photo is labelled, “France, 17 Feb 1945,” so this was taken while he was serving as part of the Army Air Force or what would later become a separate Air Force branch, taking a position as a heavy truck driver under the 1411th AAF BU ATC according to his discharge paper. He and my grandmother were married in January of 1943 which was under two years after he enlisted but almost two years before he went overseas from Nov 1944 to Dec 1945. He sent home photos as well as what I’m told are some pretty sappy love letters! Even though he couldn’t quite get anywhere in that plane, it makes for a pretty neat photo that I think we can stretch to fit into the theme!